The November issue of newspaper supplement The Briefing will be available on newsstands on Saturday 24 November, distributed with The Guardian. The edition is dedicated to property, homes and interiors, including features such as: ten ways to try out the jewel-toned interiors trend; repurposing your property for later-life living, and ideas for generating an income from it; eco-initiatives to help make your home greener; and festive decor tips from John Lewis & Partners’ head of Christmas, Dan Cooper. 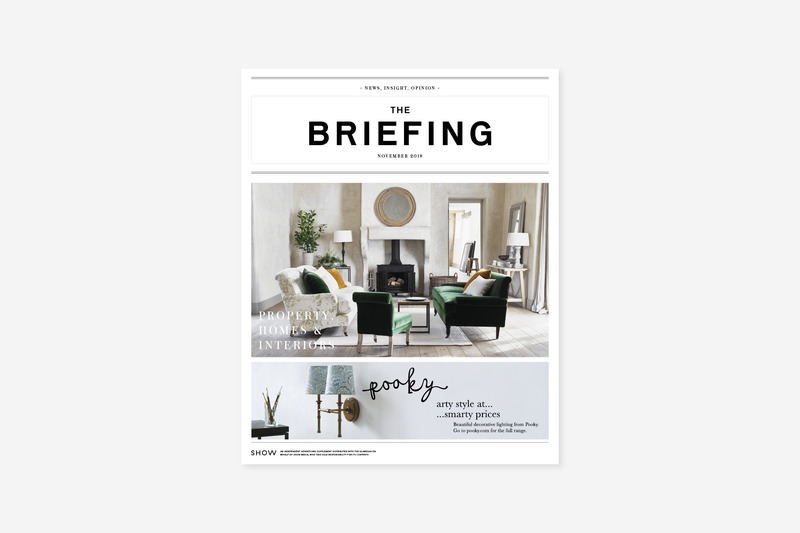 Published by Show Media, in partnership with Canopy Media, The Briefing: Property, Homes & Interiors is a light and informative weekend read, packed full of inspirational ideas and expert advice.